Experience the wonder of floating over the vast Canterbury Plains. Harness the elements of heat, wind and air to dip low over the brilliant blue Rakaia River, flying alongside the snow-tipped Southern Alps. There is nothing quite so romantic and exciting as floating effortlessly over an ever changing landscape. Top 5 bookme.co.nz reviewed products in the South Island! Why fly with Ballooning Canterbury? 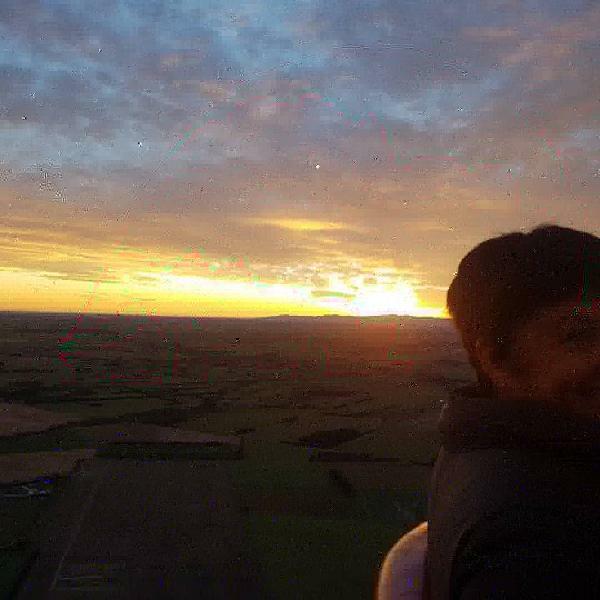 Ballooning Canterbury is a family owned and operated business situated just outside of Christchurch. We are passionate about flying. Michael Oakley is one of New Zealand's top balloonists. 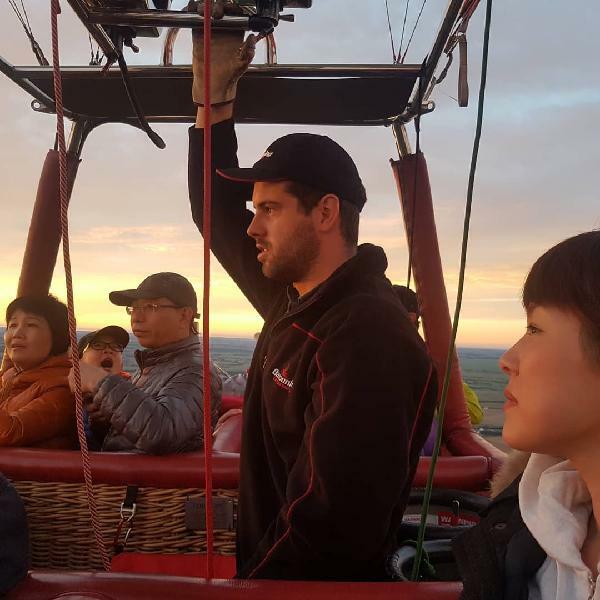 He has more than 14 years of experience, winning 10 national ballooning events throughout New Zealand and representing New Zealand at the World Hot Air Balloon Championships. Michael is also a keen glider pilot with 26 years of experience of soaring in the area. We are passionate about Canterbury. Michael was born and raised in the area, a 5th generation Canterbury farmer. 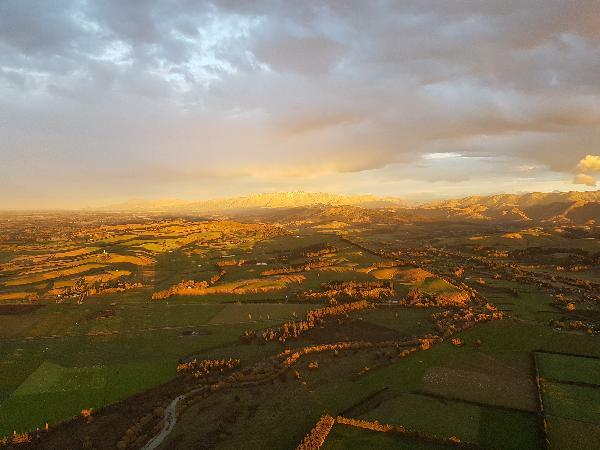 Michael's experience with flying, Canterbury's unique weather patterns and the local landscape gives him a wealth of knowledge to guide you through the elements you're flying in, as well as providing insight into the fertile Canterbury Plains, river gorges and mountains passing below. We operate three balloons: a Cameron-120 for special occasions or a small number of passengers, a Cameron 210 and a Cameron Z-275, which can carry up to 16 passengers and is outfitted with the latest technology. What balloon we fly on the day all depends on the number of passengers we have booked. 2136 Bealey Road, Hororata, which is a 35 minute drive west of Christchurch Airport. We can fly from a number of different locations in the Canterbury area; all flights are weather dependent. Are you a first time or slightly nervous flyer? Not to worry - we will look after you. We want you to have the most enjoyable experience possible and we have flown with all types of passengers. Please tell us if you have any concerns. For visitors to Christchurch, who do not have their own transport and are booked on full fares we offer courtesy transfers from central hotels/motels in Christchurch or out west Riccarton/Airport areas. Note: If you are booking on a discounted fare there is an additional charge of $20.00 per person. This can be paid the morning of the flight. When booking please advise if you require a transfer and where you will be staying so we can advise if we do pick up from there. Please note we do not pick up from private addresses. If you are self driving our address is 2136 Bealey Road, Hororata, which is a 35 minute drive west of Christchurch Airport. Due to our flights being weather dependant we need to be able to contact all passengers after 7.30 pm the evening prior to the flight to confirm that it is operating and to reconfirm the meeting time and place with everyone. The time on you booking form is only to be used as a guideline - we will confirm this with you. If we are unable to make contact with you please call us. Due to the early nature of ballooning please DO NOT CALL AFTER 9.00 PM. Please note we do require a minimum of 2 people to fly and to provide transfers. If you are a single person you are still able to book but please be aware there must be other passengers also booked on that day for the flight to go ahead. Sometimes we will not know until the evening prior to the flight. When booking special bookme hot deals, the operator in very rare occasions, not withstanding all endeavors, - may have to reschedule the time slightly if load requirements dictate and or refund. Please note only one balloon flight departs daily and the departure time differences are for differential fare pricing purposes. Please also note that departure times are dependent upon the sunrise and range between 5am and 6:45am. A must-do in South Island! I highly recommend this to everyone. It is a fantastic trip with wonderful friendly people , Michael and Cameron. The whole experience of ballooning from setting up to packing up is worth the very early start! Amazing crew and family with next level service and coolness. The Canterbury Ballooning team was great and it was a super fun morning. Your message has been sent to Hot Air Ballooning Experience - Canterbury. You should hear from them shortly. Please note: all responses will come directly from Hot Air Ballooning Experience - Canterbury, and not the team at Bookme.